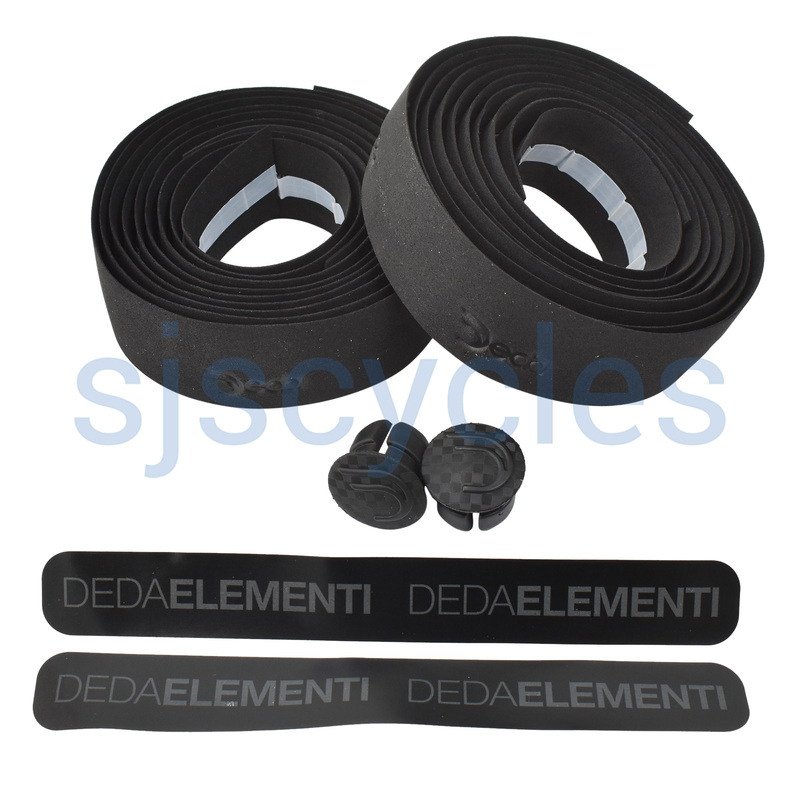 Deda Cork Ribbon Handlebar Tape - Professional handlebar ribbon. I bought this tape as it was on offer. I have tried many kinds of bar tape, and this is very comfortable, with plenty of give yet it is not soft and spongy. I would recommend it highly except that the sticky backing tape is next to useless. If you need to rewind the tape then the sticky strip just peels off and makes a mess. The gel strip on the rear of the Shimano Pro tape is much better and that remains my favourite tape for an extra quid. Excellent quality grip tape, very comfortable and decent adhesive too. This lasted through French mountain ranges without fuss: very happy with it! This was on offer at SJS for £6.99 so considering the cost it is well worth it. Even if you had to pay the full amount it still is good value. It is quite easy to sometimes pay more than double for bar tape this does the job for me. What would be good would be the manufacturers putting the length of each piece then you could judge it better. This handlebar tape unboxed weighs 45g including end plugs, in its box it weighs 65g. However postage is based on the volumetric weight of the parcel & not the net weight of the item.